Luis Bravo debuts on Piston Recordings with the superb Refugio EP. 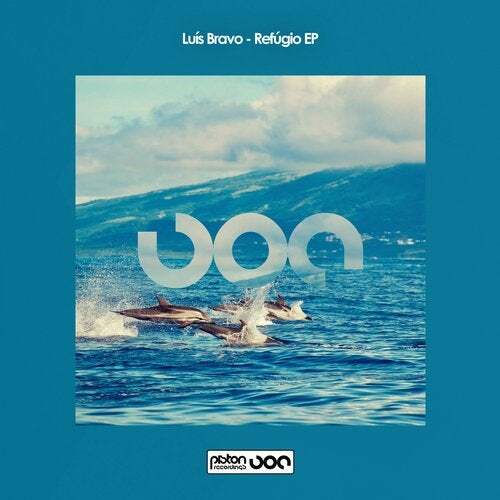 We usually see Luis over on Monog Records and he has also appeared on Bonzai Progressive as well as a host of other top labels over the years. We know a lot of things about Luis but one thing always stands out, his creativity and passion for his music. Born in the Azores, he gained his love of music from an early age, focusing on electronic sounds. His music comes from the soul and throughout the years he's gained a solid reputation among his peers and fans with support coming in from all quarters. We're delighted to have him on board. On remix duties we have a well-established artist, Jose Vizcaino, who marks his Piston debut with a solid remix on Refugio. He boasts an impressive back catalogue spanning several years on a raft of quality labels and it's a pleasure to have him at the label and we hope to hear more in the future. Here, Jose delivers the goods in style with a solid deep house joint to keep the vibe flowing nicely. The track is driven by a tight drum section creating a steady, dancey rhythm. Cascading melodic notes captivate, luring us into the surreal ambience. Deep, probing basses shore up the low end as sweeter notes shine through. A thought-provoking slice that will not disappoint. Luis is joined by Turin based DJ and producer Francesco Nikolai on the EP's second track titled Onda. Francesco loves to bring an infectious style to his sets which translates to his music. He has a background as a drummer and in 2018 he released his first EP titled Pierdut In Nori which gained great support from a raft of top artists and DJ's. His sole aim is to awaken his listeners so they can express themselves through his music. Great to have him here along with his colleagues. Onda intros with a pacey, punchy kick drum alongside a rising, pulsing pad and crispy hi hat sequence. We're immediately intrigued by what's on offer. The track takes on a darker vibe with a dynamic sound filled with those airy pads, analogue bass plucks and spoken vocal. Deeper basses fill out the sound beautifully and brighter, hypnotic notes add contrast making this an absolute must have for the peak time slot.